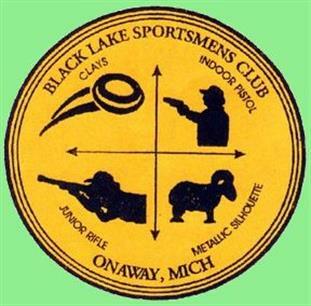 Black Lake Sportsmen's Club, Onaway Michigan's only gun club, rifle range and indoor pistol range. Black Lake Sportsmen's Club of Onaway, Rifle & pistol shooting ranges. Onaway, Michigan's only gun club, rifle and pistol range. Live out of our area? Membership is so affordable that using your membership even on a part-time basis, is very cost effective. Call us or join us at our next meeting for more information. Visitors and new members always welcome.